The mission of This Club Saves Lives is very similar to the CASL mission. Carmel High School students wanting a club where they could perform local and global actions while also qualifying to attend WE Day originally founded the club in 2015. This Bar Saves Lives, a granola bar company who donates a packet of life saving nutrition for every bar they sell, inspired the name of the club. When the club was founded one of the first initiatives was to educate the school on world hunger and followed it up by selling the bars. In 2018 This Club Saves Lives became a recognized non-profit. The club is very active in the locally community and around Monterey County. As one of the main reasons for the club, the club must perform local community service. Beyond the service initiatives like school supply collecting, socks for the homeless, and Empty Bowls, this year the club will be hosting the first Youth Service Summit open to middle and high school students in Monterey County. The club has also reached out to support other clubs and teams on campus by encouraging them to buy a table to the Thirst Gala so they can give back while enjoying a social activity together. Members of the club have also presented on the club and successful events at the Area D CADA student conference in Salinas. The club is active within California by connecting with other students and schools through WE Day. The club regularly attended the Celebration of WE, often held at Bellarmine College Prep, and has established a network to learn about activities around the state. The connections on social media are invaluable for supporting each other and finding new ideas. For the first time club officers and members will be attending the CASL student conference in Santa Clara and hope to present at Meet the Pros about the club, #TamponTuesday, and Princess and the Purse. Princess and the Purse was a new event brought to our school by a freshman. She was aware of the project while living in Canada and wanted to bring it to Carmel. Basically people donate new and gently used purses filled with needed items to give to women in need. 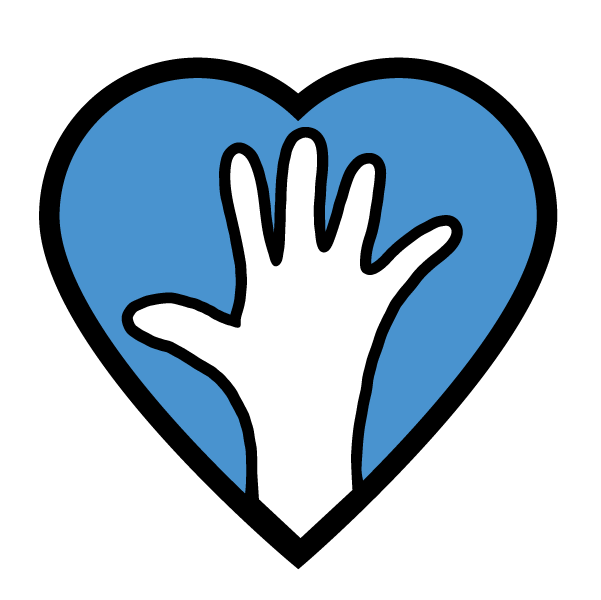 This Club Saves Lives has been fortunate to partner with some amazing national and international organizations including WE, Thirst Project, and #ICANHELP. The club attends the yearly WE Day in Los Angeles. Last year the club president was asked to present her “why” onstage at WE Day in front of 16,000 people. The club advisor has spoken at the WE Educator Partner breakfast and has been invited on an educator trip to Ecuador this summer. This summer Thirst Project is hosting their first Youth Summit at Pepperdine and the club has been invited to attend. Through fundraising efforts with the help of Carmel High School students, the club has raised $12,000, enough for one water well in Swaziland. Recently the club has connected with #ICANHELP and have been helping to promote digital for good around the country. Gleaning in Salinas with Ag Against Hunger. In the spring officers are elected for the next year. Beside elected, any student can be on the executive board. The executive board meets monthly with the elected officers to plan club events. With so many students attending the regular meetings we felt that executive board meetings would help give direction to our meetings. We want to make sure everyone comes back to our meetings each week so meetings must be meaningful and well planned. The executive board meets yearly with WE Schools coordinators and Thirst Project representatives to help plan the year. Officers are encouraged to attend school board meetings to share successes and upcoming events. The students research local and global issues interesting to them and present ways for students to make a positive impact on the issue. At the start of the year students are invited to brainstorm ideas, specific and broad to work on for the year. If possible, a theme is selected for the year. At the end of each semester students complete a reflection on their participation, the specific hours and projects they’ve worked on, and what more the club could be doing. Issues have included access to menstrual products, county homelessness,world water crisis, mental health, digital leadership, human trafficking, and aid to district families when a bridge collapsed. The club hosts a yearly Thirst Gala to bring attention to the world water crisis, raise money for Thirst Project, and provide a social activity to bring students and staff together for an evening. Every February the club cuts out a heart for every student and staff member, writes a note, and hangs it up at school for Valentines Day. Students look forward to searching the school and finding a kind message on this special day. The club looks forward to doing something nice for the entire school. Similar to the previous question, This Club Saves Lives created two traditions the first year of existence, Thirst Gala and Valentines. These activities have created pride and spirit in the entire school. Within the club we attend WE Day in Los Angeles every year. During the trip we spend time volunteering at Baby2Baby and Thirst Project, and visiting businesses making a positive social impact such as This Bar Saves Lives and Patagonia. The trip goes beyond just attending WE Day. We spend a lot of timing making it a meaningful experience, giving back to the Los Angeles community but also learning about possible career opportunities and ways to sustainably give back to humanity. To encourage participation in our club meetings and events we offer a trip to Los Angeles to celebrate their achievements at WE Day. Students apply to attend WE Day by describing their participation in the club, their favorite club activity/event, and what they hope to gain from attending the trip. Attendance is taken at every meeting and event to help in the selection of students attending class. Depending on the amount of tickets we receive we may need to select the most involved students but we try to take as many students as possible to inspire a commitment to service in more students. The club offers a variety of activities to appeal to a variety of people and is open to all Carmel High School students. At the start of the year we survey our club members to gauge their interest in specific causes and any specific activities/events they want to lead or work during the upcoming school year. Any member is welcome to bring forward a new idea and ask for club support to complete their project. Our members work to provide a variety of activities for the members at every club meeting and a few school inclusive activities throughout the year. It is important that our club supports other school service events promoted by clubs, individual students, and the entire school. This Club Saves Lives is a student club at Carmel High School. The club was founded in 2015 by students wanting a service club where they could organize and perform local and global actions without the direction of a national organization while qualifying to attend WE Day. The club has helped inspire other clubs and individuals on campus to perform more community service. The Mock Trial team now performs a service project during every over night trip. The club has created weekly projects for club members but also projects the entire school can get involved in. This February the club will be hosting the first Youth Service Summit for middle and high school students in Monterey County. Everyone is invited and respected in our club. It is a safe place for anyone willing to be compassionate towards others. While the club is not religiously associated, we have toured amazing organizations and learned how religious organizations support their communities. We invite local organizations to speak to our club about their changemaker initiatives to inspire our students to individually or as a club to support a diverse group of organizations from homeless youth, human trafficking, the ocean and environment, and more. Our club uses Remind each week, and Instagram (@thisclubsaveslives) and Twitter (@thisclubsaves) on a nearly daily basis. Our club has a website (www.thisclubsaveslives.org) mostly to keep an accurate record of the events we have done both to celebrate and also give steps to recreate again in the future. One of the main club initiatives this year was #TamponTuesday. Every Tuesday on the school video bulletin and the club social media, a fact about access to menstrual products is posted to continue a year-long discussion about the issue in schools, in California, and around the nation. This year two club members have been attending #Digital4Good and #ICANHELP events and meetings to increase their digital leadership and connect with other students using digital for good. The Club Saves Lives attracts students with stellar character. Their commitment to the club is completely on their own. We make it something people want to be involved in but it is not for everyone. Students are encouraged to be active in their classes and community and to be positive representative of This Club Saves Lives by spreading awareness for the initiatives and activities the club is involved in. The club attracts all genders, races, religions, grades, cliques, etc. The only requirement for a cause is that it sparks a passion from a club member and other members want to work on that initiative. We have successfully made connections in the community supporting other non-profits as well as community members supporting us. We are a club that attracts many new students because it is a large group of welcoming students with one driving passion, to make a positive impact in the world. Many students come to their first meeting because of a friend but most stay because they like being around caring, compassionate students.